This closure is perfect to complete your natural look that you're trying to acheive with your extensions. 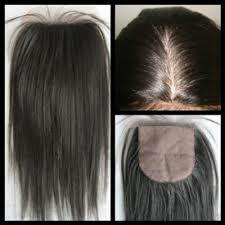 This closure can be styled and parted anywhere. The base makes it versatile, undectectable and virtual.